Anna and Wendy discuss episode 15 of Chronologically LOST, Episode 015 – 2001, featuring Shannon juggling ballet classes, her father’s death, a potential internship, and money troubles; Jack and Sarah’s beginnings; Desmond and Libby and the boat, and Desmond’s tour d’estad where he runs into Jack; Sawyer and Cassidy out for the long con; and Kate murdering Wayne and going on the run. Podcast length 1 hr 40 min. Anna and Wendy discuss episode 14 of Chronologically LOST, Episode 014 – 2001, featuring Locke’s introduction to his wheelchair (and to Matthew Abaddon! ), the ups and downs of DriveShaft, Charlie, and Liam, Sayid being captured and interrogated, Jin buying a giant stuffed panda, and Hurley’s relationship with Dave in Santa Rosa. Podcast length 1 hr 16 min. Never Let It Fade Away: LOST re-enacted by cats – A short, goofy youtube video that sums up 6 seasons of LOST in about a minute…with cats. Anna and Wendy discuss episode 13 of Chronologically LOST, Episode 013 – 1999 – 2001, featuring Jin and Sun’s relationship from inception to early marriage, Claire’s car crash and Christian Shephard’s visit and “help”, DriveShaft getting played on the radio for the first time, Jack cutting the dural sac, a few off-island visits from Jacob, and Locke confronting Anthony Cooper and getting pushed out the window. Podcast length 1 hr 20 min. Never Let It Fade Away: My LOST Moment – One fan’s way to “pay homage to the show by collecting fans’ memories of LOST and, hopefully, being able to retell this beautiful story from the viewers’ perspective, all across the globe.” LOST fans are encouraged to submit their favorite LOST moment and explain what it means to them. Read their stories, and submit your own! 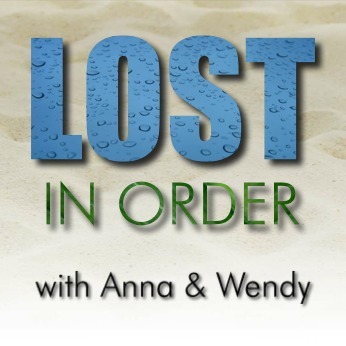 Anna and Wendy discuss episode 12 of Chronologically LOST, 012: 1996 – 1999, featuring Michael’s battle to keep Walt near him, Locke’s time at the pot-growing commune, Charlie rescuing Nadia, Miles visiting his dying mother, Sun meeting Jae Lee thanks to a matchmaker, Jin getting a job welcoming people to Jae Lee’s hotel, Desmond’s dishonorable discharge from the Royal Scots, and Sawyer walking away from a big con. Podcast length 1 hr 14 min.